Jar Jar Binks will definitely not appear in 'Star Wars: The Force Awakens'. Lucasfilm Ltd. president Kathleen Kennedy has confirmed the unpopular alien, who was one of the main supporting characters in the 1999 'Star Wars' film 'The Phantom Menace', will not be in the forthcoming flick. Speaking at a press conference on Sunday (06.12.15), Kathleen, 62, said: "Jar Jar is definitely not in the movie." 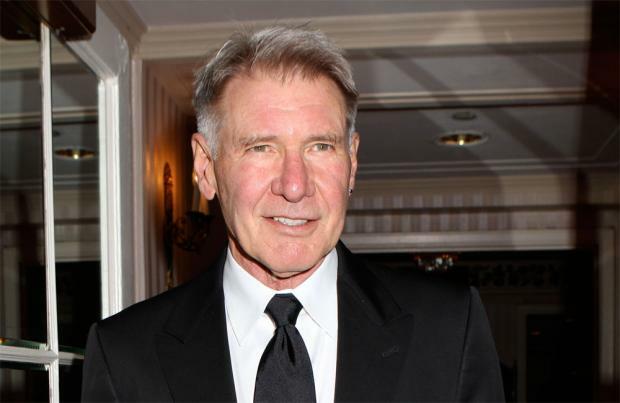 While the filmmakers gave little away at the event, Kennedy also revealed there will not be any Ewoks from 1983's 'Return of the Jedi', which she joked was down to actor Harrison Ford who plays Han Solo in the film. Speaking about the lack of the teddy bear-like creatures in the film, she quipped: "That's because Harrison insisted on it." Elsewhere, Ford revealed he wanted 'Star Wars' creator George Lucas to kill off Han Solo in the original movie 'A New Hope'. He said: "I did say that I wanted Han Solo to die in the original, but that wasn't because I thought I didn't want to play the character. "I didn't anticipate at that point that there would ever be another film. "So I thought it would be great if he sacrificed himself and lent some gravitas to the enterprise."